Sign up below to get the latest Albany news, events, and more sent straight to your email inbox! Fill out the form below to submit content for our website! Only images and PDF documents allowed. You represent that you own all copyrights in the photograph. As a condition of submitting your photo, you unconditionally and irrevocably assign all copyrights and other rights in the photograph to ADEDC. You acknowledge that ADEDC may, at its sole discretion, publish or otherwise use any photograph or story submitted by you. Such publication or other use may occur on television in newspapers and magazines, on the Internet, and/or in or on any other medium of communication now or hereafter devised, and may be for advertising, promotion, the use of trade, and/or other commercial purposes. By submitting a photograph and/or story, you (and any other individual depicted in a photograph or story) consent to such publication or any other use. As a condition of submitting your photograph or story, you (and any other individual depicted in a photograph) unconditionally and irrevocably waive all claims to compensation for use of the photograph, and/or any rights with respect to such use you may have under copyright law, the right to publicity, the right to privacy, the law of defamation, and any other common law or statutory claims under the laws of any jurisdiction. You represent that you have been given the authority by each individual depicted or represented in a photograph or story to bind such individual to these release terms. The nomination period for Community Heros has closed. An internal team will review all the submissions and identify a winner per category. Winners for each category will be announced at a special event in November. Details on this event are to come.Winners for each category will be announced at a special event in November. Details on this event are to come. Ideally, non-essential service businesses should shut down & release employees for safe travels home by 3pm (Sunday); 5pm, at the very latest. Businesses are encouraged to remain closed on Monday, pending weather updates. Contact us with your thoughts, opinions, ideas, and questions. 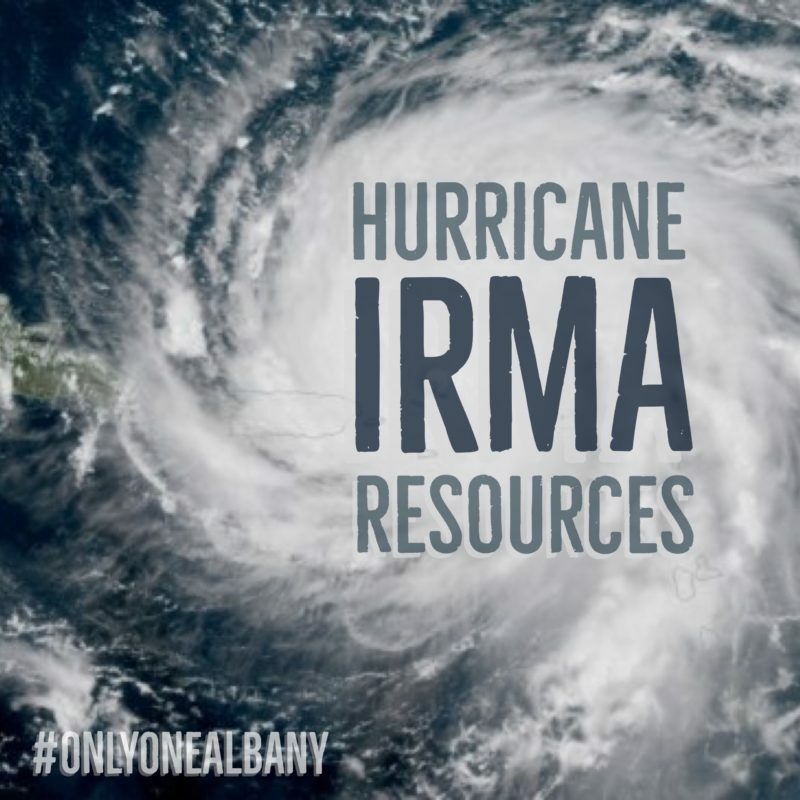 Get the "Only One Albany" Newsletter sent straight to your inbox! © 2019. Albany Organization LLC.